The Best Mystery Book blogs from thousands of top Mystery blogs in our index using search and social metrics. Data will be refreshed once a week. 2.32 Ladies of Mystery - Stories that keep you up all night! 2.39 Dru's book musings | Reading is a wonderful adventure! 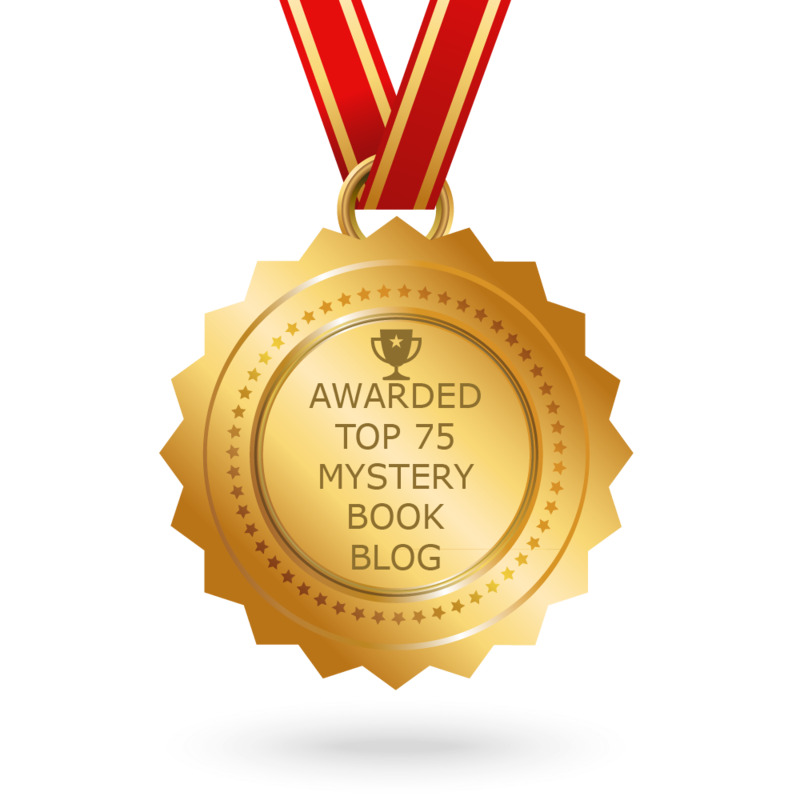 Mystery Book newsletter is a comprehensive summary of the day's most important blog posts and news articles from the best Mystery Book websites on the web, and delivered to your email inbox each morning. To subscribe, simply provide us with your email address. About Blog Cozy Mysteries Unlimited is a website that offers cozy mystery books for you to explore. Search by Season, Author, Theme, Holiday, State & More! A guide to Cozy Mystery books, TV, & movies. Chronological lists of books by hundreds of Cozy Mystery authors. Facebook fans 16,682. Twitter followers 1,252. Facebook fans 12,647. Twitter followers 8,224. Facebook fans 4,104. Twitter followers n/a. About Blog We find the best new books and send them to you. Spend your time reading, not searching. If you love to read and you don't want to miss out on the next new book, this is the site for you. Facebook fans 42,976. Twitter followers 3,866. New Yok City, NY About Blog Mystery Tribune is a magazine about these authors and their work. We search the globe to find great reads and authors who inspire, excite and thrill us with their writing. With a heavy focus on fine writing and original thought in the mystery literature, our coverage provides readers with a unique overview of the short stories, fictions, and news from promising new voices as well as some of the most distinguished names in the genre. Facebook fans 15,321. Twitter followers 6,217. Ashburn, VA About Blog Chelsea Humphrey reads and writes book reviews. Facebook fans n/a. Twitter followers 3,432. About Blog I have created this site to help book bloggers find like-minded bloggers and help authors find book bloggers that might be interested in their book. My intent is that this site be comprehensive, easily searchable and kept up to date. Facebook fans 1,336. Twitter followers n/a. New York About Blog Mystery Writers of America is the premier organization for writers and fans of the mystery/crime genre and we present the Edgar Awards every spring. Facebook fans n/a. Twitter followers 6,738. Berkeley, CA About Blog Janet Rudolph is known as "The Mistress of Mystery." She is the writer/producer for Murder on the Menu®, director of Mystery Readers International, editor of the Mystery Readers Journal, a teacher of mystery fiction, and has been a columnist for most of the mystery periodicals. Facebook fans n/a. Twitter followers 9,299. England About Blog A book-loving bird. Author of the Murder Most Unladylike Mysteries / the Wells and Wong Mysteries, crime novels for children of all ages. Facebook fans 488. Twitter followers 11,675. Evansville, Indiana About Blog Book reviewer, Library Journal mystery columnist, book blogger & librarian. Sharing Books and Authors, with an emphasis on Mysteries. Facebook fans 7. Twitter followers 5,313. Austin, Texas About Blog MysteryPeople is a destination for mystery and crime fiction lovers to find out what’s new and noteworthy on the shelves from our genre experts, and a place to learn about books and authors the major chains may ignore. It is a place to get recommendations from genre experts. Facebook fans 856. Twitter followers n/a. New York metro area About Blog Podcasts and conversations about fine detective stories worth reading and re-reading. About Blog Starting in April of 2015, we have been matching authors looking for honest reviews with readers willing to provide these reviews in exchange for a free copy of the book. We have now cultivated a group of reliable reviewers who are eager to read and review for you. About Blog BestThrillers is a book club that helps fans of mysteries and thriller eBooks discover amazing writers and the eBooks they publish. Unlike traditional book clubs, there are no monthly fees or purchases required. We are the only such service dedicated soley to connecting mystery & thriller fans to the writers they love. Facebook fans 1,364. Twitter followers 18,365. About Blog Miss Demeanors is a group of mystery and suspense writers who-- when not killing off characters--share tidbits about writing, reading and research. About Blog I'm a mystery novelist and Associate Professor from PA, living in CA. I write the Joel Williams series, and edited a short story anthology: In a Word, Murder. Facebook fans 362. Twitter followers 4,898. Maryland About Blog This blog will focus on books in the mystery and thriller genre. Crime fiction is my passion and I want to share that with you. Facebook fans n/a. Twitter followers 1,957. Scranton, NC About Blog Award-winning Mystery Author on books, reading and life: If proofreading is wrong, I don't wanna be right! Facebook fans n/a. Twitter followers 1,837. Cyprus About Blog Mystery Sequels is an online resource for lovers of mystery, thriller, spy, adventure and suspense books with a sequel. If an author writers a book series, we review it. London, UK About Blog Crime Thriller Girl leads a double life: I’m a thriller writer, writing as Steph Broadribb and Stephanie Marland and an avid reader of all things crime thriller. My blog is about books and being a writer, and I love to connect with people who share a passion for crime thrillers too. Facebook fans 423. Twitter followers 9,551. About Blog Devoted to mystery and detective fiction — the books, the films, the authors, and those who read, watch, collect and make annotated lists of them. All uncredited posts are by me, Steve Lewis. About Blog This page is all about books: book reviews, authors, giveaways and everything else books. I enjoy reading many different genres including suspense, mysteries, 7458d-book-genres-header-y7f67zcozy mysteries, cozy ghosts, search and rescue and light romance. I would say that my favorite would be any type of cozy but I do enjoy the other ones too. Facebook fans 1000. Twitter followers n/a. About Blog Writers talking mystery (and more). Facebook fans 520. Twitter followers 2,541. Shropshire, UK About Blog Posts about Crime, Thrillers and Mystery written by Jen Lucas. I’m Jen Lucas, a blogger who loves all things literature. Reading is one of my favourite ways to spend my spare time when I’m not travelling the UK and Ireland with my full time work. Facebook fans 506. Twitter followers 5,277. About Blog My name is Aidan and I have been a fan of mystery stories since my early childhood when I discovered The Three Investigators, The Secret Seven and The Five Find-Outers series in my local library. That interest grew considerably in my adult years and in 2017 I started this blog as a place to share my thoughts about the books I have been reading. South Carolina, USA About Blog Jane is an avid reader of many genres but mostly mysteries and especially cozy mysteries. She writes brief reviews, not critiques, of the books she reads. Facebook fans 756. Twitter followers 1,640. About Blog The editor of EQMM and guests blog about suspense, short stories, and the mystery-fiction scene. Facebook fans 2,554. Twitter followers 1,067. Bedford, Virginia About Blog Diane Fanning is the author of 14 true crime books, 10 mystery novels and has been featured in 3 anthology collections. She has appeared on numerous television shows, including 48 hours, 20/20 and The Today Show. Facebook fans n/a. Twitter followers 5,311. 32. Ladies of Mystery - Stories that keep you up all night! Facebook fans 54. Twitter followers 50. Facebook fans 776. Twitter followers 879. Joliet IL About Blog My name is Erika. I am a wife, a mom to two lovely daughters, an IT professional, and a voracious reader of fiction. I use this blog to share my love of books and all things bookish. Facebook fans 700. Twitter followers 4,392. Delaware About Blog A blog for and about Cozy mysteries and their wonderful authors. Facebook fans 2,954. Twitter followers 1,607. USA About Blog The Kill Zone is the home of 11 top suspense writers and publishing professionals. We cover the publishing biz, marketing how-to’s, and the craft of writing. Each day, we’ll open the doorway into the world of the working writer. About Blog Where I list what I read and my reactions. Mystery is my genre, leaning towards traditional mysteries and police procedurals. Bitter hot tea is the perfect companion. Burke, VA About Blog Art Taylor is the author of On the Road with Del & Louise: A Novel in Stories, winner of the Agatha Award for Best First Novel. He has won three additional Agatha Awards, an Anthony Award, two Macavity Awards, and three consecutive Derringer Awards for his short fiction, and his work has appeared in Best American Mystery Stories. Facebook fans 665. Twitter followers 2,276. 39. Dru's book musings | Reading is a wonderful adventure! New York About Blog Dru is a 2017 MWA Raven Award recipient and dru’s book musings is an Anthony Award-nominated blog for Best Critical or Non-Fiction Work. All in all, not bad for a shy introverted person like herself. Dru is a member of Mystery Writers of America and Sisters in Crime. She also serves on the Bouchercon board. She is an avid reader. Facebook fans 2,519. Twitter followers 1,877. Arizona About Blog Join our conversation about reading and writing mystery novels. Facebook fans 6. Twitter followers 232. About Blog We’re seven mystery writers armed with laptops and a killer sense of humor. Join us for a little mayhem, malice and miscellaneous fun. Facebook fans 585. Twitter followers 1,178. Greenville SC About Blog The blog is eclectic and I review various types of genres Mysteries, Thriller, Suspense, Drama Some Horror, Fantasy, Children's Cozies mysteries, Amish reads. Facebook fans 2,068. Twitter followers 7,329. About Blog Murder by the Book, Portland, Oregon, reviews mystery & crime books. MURDER BY THE BOOK, a bookstore for the mystery reading community, opened in 1983. Facebook fans 1,224. Twitter followers 490. About Blog Morgan Mandel writes and reviews various mystery books and gives honest suggestions. About Blog We are the characters--major and minor--who inhabit the pages of some of your favorite cozy mysteries. We're coming out from between the covers and welcoming you into our lives. So grab a nice cuppa, settle in, and learn what happens when our authors aren't looking. Vancouver About Blog Put the kettle on, grab your favorite tea cup & saucer, pick up a cozy and join me... A personal blog of writer Karen Owen aka Karen Mom of Three. Karen is a writer, crafter, cozy mystery& tea lover. Enjoy! Facebook fans 1,241. Twitter followers 406. Woodbury, MN About Blog Since our first season in 2005, Midnight Ink has published the very best in mystery, from quirky cozies to chilling thrillers. Over 10 years of publishing the very best in mystery. Facebook fans 2,536. Twitter followers 1,874. About Blog The setting of a mystery book may not be as important as the clues surrounding the mystery, but in cozy mysteries, it adds to the flavor. MapYourMystery has reviewed books from nearly every state and has started branching out to the world. About Blog The Series No murder, just mystery. A blend of genres from mystery to suspense to romance to paranormal. Facebook fans 92. Twitter followers 63. Arizona About Blog Marja McGraw writes mysteries that are light reading with a little humor. Facebook fans 100. Twitter followers 406. About Blog Marilyn Meredith is the author of the Deputy Tempe Crabtree mystery series and the Rocky Bluff P.D. series as well as other novels. She is also the author of over 30 published books. Writing has been a part of her life since she was 10 years old. Facebook fans n/a. Twitter followers 1,627. New England About Blog The Wickeds are six best-selling authors who write traditional, cozy, and historical mystery novels. The aim of this blog is to have an ongoing coffee klatch/cocktail party (insert your beverage of choice) conversation about the things we love–including, of course, books, books, books–as well as fellow authors, pets, recipes, places we love, the writing life. Facebook fans n/a. Twitter followers 1,128. Vermont About Blog Kingdom Books is a mystery collectors' resource in northeastern Vermont. Beth Kanell, co-owner with her husband Dave, writes the reviews here of mysteries and crime fiction, and is a member of the National Book Critics Circle. About Blog Welcome to Cozy Mystery Book Reviews. We post reviews, news, interviews and giveaways related to cozy mysteries only. Facebook fans 4,175. Twitter followers n/a. About Blog I am a dutch writer, writing often in english. My special interests are crime movies and novels, rock music (I am a rock reporter for a dutch site) and comic books. Facebook fans 105. Twitter followers 218. About Blog Blog for undernet irc network channel 18plus.Murder.Mysteries.and.Scifi, Writing, Mystery, Science Fiction, Fiction, Murder, Adult, Romance, Tips, Lessons, Review, Critique, Detective, Tools, Author, Research, Fantasy, Victim, Killer, Monster, Support, Character, Setting, Scene, Event, Items. About Blog I love to bake all sorts of treats and on occasion indulge my inner artist by decorating cakes and cookies. Follow along with me for recipes, tips and creative inspiration in the kitchen along with reviews on what mystery I'm reading. Wyoming and California, United States About Blog Mysterious Writers is a place where all mystery writers gather and discuss about various mystery genre books. Châteauguay (QC) About Blog This is a friendly home for those who enjoy crime and mystery books from the darkest of Noir to (sometimes) the coziest of Mystery. Contests, reviews, interviews, and other views. Plus a great section in French. I'm also co-founder of the QuébeCrime Writers Festival. Facebook fans n/a. Twitter followers 1,727. Florida About Blog Mystery and Horror, LLC is a small press focusing on speculative short fiction. Facebook fans 730. Twitter followers 287. Eugene, Oregon About Blog L.J. Sellers writes the bestselling Detective Jackson mystery/thriller series—a four-time winner of the Readers Favorite Awards. She also pens the high-octane Agent Dallas series, The Extractor books, and provocative standalone thrillers. Facebook fans 717. Twitter followers 7,388. Iowa, USA About Blog Take reading to the next level! We provide a cozy mystery experience delivered right to your front door. Subscribe and receive a cozy mystery each month, as well as other goodies inspired by the book. This is our public page and will be discussing all things cozy mystery related. Facebook fans 176. Twitter followers 372. Houston & The World About Blog Sweet Mystery Books was born in July 2012 when Sandy Penny was helping promote a self-published mystery author's first book. UK/US/Canada About Blog ReviewingTheEvidence.com features reviews of crime fiction, true crime, murder mysteries, and cross-genre fiction. Facebook fans 206. Twitter followers 201. About Blog Mystery Maven blog reviews American and British mysteries, thrillers and suspense novels and discusses mystery authors and publishers. About Blog Mystery, Thriller, Hard-Boiled, Detective Movie: from Golden Age to the present day. Not only reviews but depth analysis. Germantown, Tennessee, United States About Blog Author of "Masters of the 'Humdrum' Mystery: Cecil John Charles Street, Freeman Wills Crofts, Alfred Walter Stewart and the British Detective Novel, 1920-1961" "Magisterial"--Michael Dirda "Edgar Committee, Mystery Writers of America, take note!" --Allen J. Hubin "This should be a certain Edgar nominee"--Jon L. Breen, Mystery Scene. About Blog Follow the Carole Marsh Mystery Club for kids blog with over 1,000 mystery books to choose from. About Blog Joanne Fluke is a best-selling author of mysteries and thrillers. Best known for the Hannah Swensen cozy culinary series, she has also written dozens of grittier novels. Facebook fans 27,409. Twitter followers 1,906. About Blog The Most Entertaining Cozy Mystery Author You Never Heard Of. blog for cozy mystery readers. About Blog For mystery fans and authors. Let's talk murder and mayhem with a peppering of paranormal and suspense. This blog will contain book reviews, discuss writing mysteries, host reading challenges, host writing challenges and even have author interviews! About Blog Musings on writing and authors, primarily mystery fiction and events celebrating the genre. Rants on especially annoying or troublesome topics of the times. Humorous anecdotes that will tickle your funny bone if yours is a wickedly twisted one. About Blog Book Reviews and Mystery News by a mystery writer who enjoys reading other mystery writers. Here's a peek at what catches my eye. Adelaide, SA, Australia About Blog Kerrie is addicted to mystery genre. She reads and reviews crime fiction. About Blog Just a couple of gals who spent a year working their way through the Christie canon, revisiting favorites this year. Agatha Christie has been one of the best known and best loved masters of mystery for almost 100 years. Since we both admit to being occasionally teased, nay, mocked for our devotion to almost century-old British mysteries, we wanted to explore what it is that makes her stories connect just as much with millennials as they did with the post-WWI readers who were her contemporaries. Facebook fans 157. Twitter followers 320. About Blog I’m a mystery writer with 11 published novels and more on the way. I live in New York City, where I worked for many years at Murder Ink, the world’s first mystery bookstore. I was a professional actor and theatrical composer for a while before concentrating on my first love, mystery novels. Facebook fans 301. Twitter followers n/a. About Blog Welcome to our blog. We've published eleven mystery novels in the John the Lord Chamberlain series set in 6th century Constantinople. An Empire for Ravens, the twelfth in the series, will appear in October. As "Eric Reed" we write the Grace Baxter series set in the UK during World War II. About - My name is Noelle and I am in my 40’s. I am an avid reader and by that I mean I am never without a book! By night I read all things crime!! My fascination for books started at a young age and I truly feel withdrawal symptoms if I am unable to read for a few days hence the name #crimebookjunkie! About - Crime Thriller Girl leads a double life: I’m a thriller writer, writing as Steph Broadribb and Stephanie Marland and an avid reader of all things crime thriller. My blog is about books and being a writer, and I love to connect with people who share a passion for crime thrillers too. About - Reviews & All Things Book Related, I'm a reader,blogger, & coffee addict I mostly read crime, mystery & psychological thrillers. Run by Lorraine. CONGRATULATIONS to every blogger that has made this Top Mystery Book Blogs list! This is the most comprehensive list of best Mystery Book blogs on the internet and I’m honoured to have you as part of this! I personally give you a high-five and want to thank you for your contribution to this world.